UNITED NATIONS ACADEMIC IMPACT AND MCN PROUDLY PRESENT NAVNEET SURJIT KUMAR, A MILLENNIUM FELLOW FOR THE CLASS OF 2018. "I am very honored to have been given an opportunity to work with a cohort of students that believe in similar goals as I do. My personal philosophy is to give back to others and volunteer my time to those who need it. Project C.U.R.E. already gives me this opportunity but being a Millennium Fellow will allow me to expand my philosophy outside my boundaries. There has never been a day where I would deny my services to anyone in need of aid, and I always devote my time to the community. I strongly believe in working with others to achieve a common goal and I know that the skills and knowledge I bring not only as an individual but as a team member will not only bring me satisfaction as a volunteer but will also make me a valuable team member as well." Project C.U.R.E. has continued to ship medical supplies to undermined countries. Their mission is to be able to help close resource gaps in developing countries by enabling doctors with the tools needed to treat patients. As of now, there are limited locations of Project C.U.R.E. in the United States. 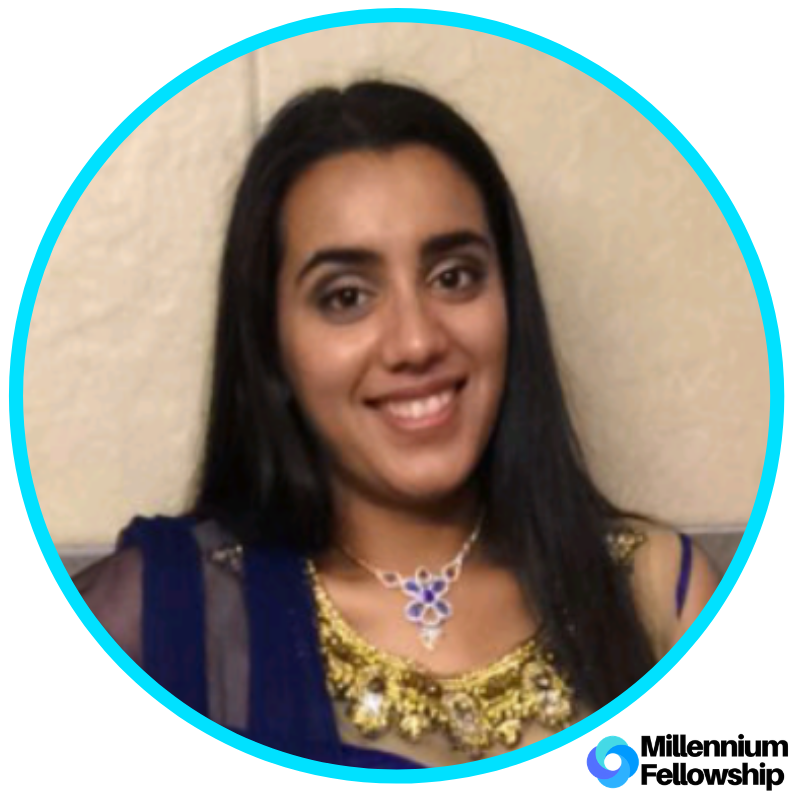 As a Millenium Fellow, Navneet hopes to be able to expand Project C.U.R.E. and their goals across America as well as be able to send more supplies to those in need. Navneet Kumar is a Junior student at Arizona State University. She is currently majoring in Biological Sciences (Biomedical Sciences). She is quite interested in pursuing a career in medicine, concentrating specifically on oncology. Ever since her father was diagnosed with Lymphoma Cancer back in 2010, his strength and motivation to continue in life inspired her to help others. The further advancement of cancer treatments has also piqued her interest in being involved with cancer research. She wishes to provide her time to help others gain another chance in life and to achieve their goals.